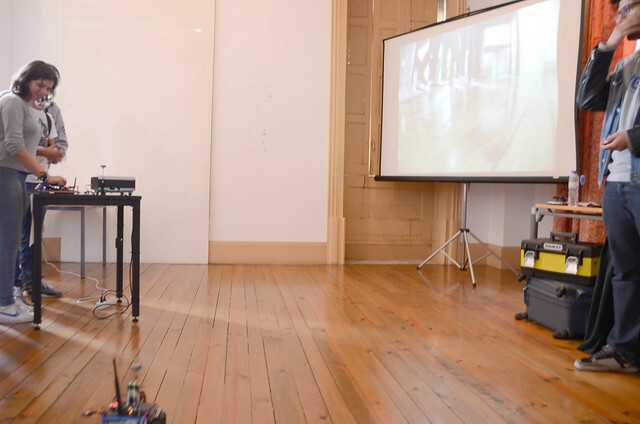 Interactive Exhibition of Creative Robotics was how this event was entitled! Interactive because visitors could interact with the objects, and creative because all the objects (robots in this case) exposed were created without any pre-conceptions of what a robot should be, or look like. Vila Verde is a sweet place in the north of Portugal, something like 400 klm away from Lisbon, it was a long ride but totally worth the effort! Our host was Casa do Conhecimento, they invited us to deliver a showroom of Artica’s robotics products and installations. 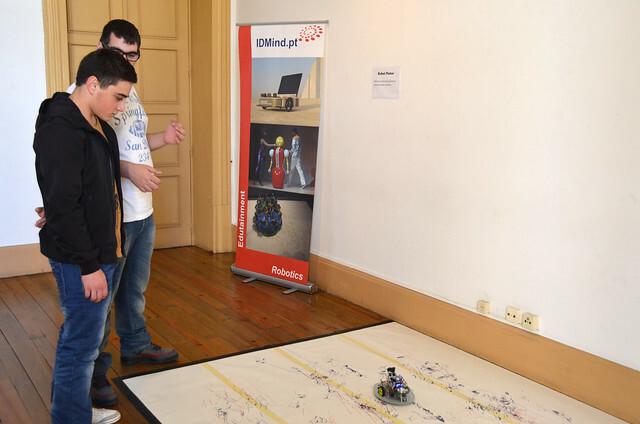 We brought with us ICU, the brand new Driving Farrusco entitled “Explorer”, Magabot, Sapobot, Farrusco, and a painter robot by IDMind, we also brought an Auduino just to show how simple it is to mess with Arduino and electronics. 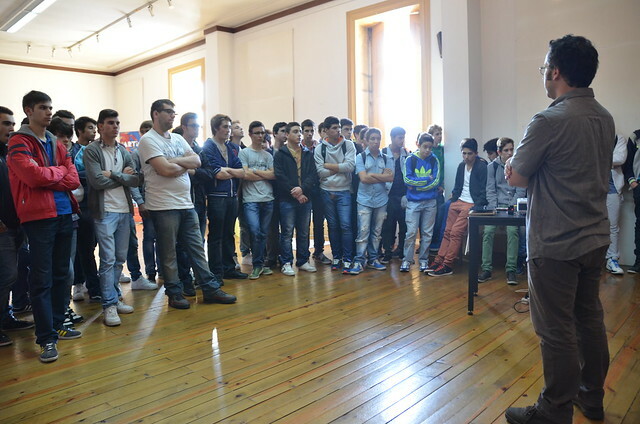 More than 500 students came to visit and interact with the installations during two days. Magabot following the blue color on the kids jacket. 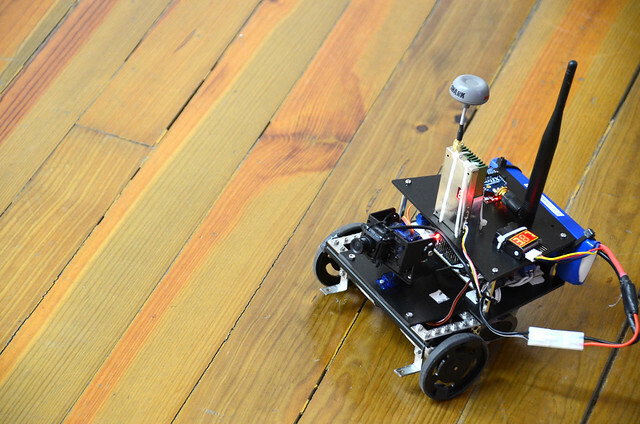 Interactive robotics can be an ice breaker when it comes to social and digital inclusion. The class of special-needs students was a totally new experience! 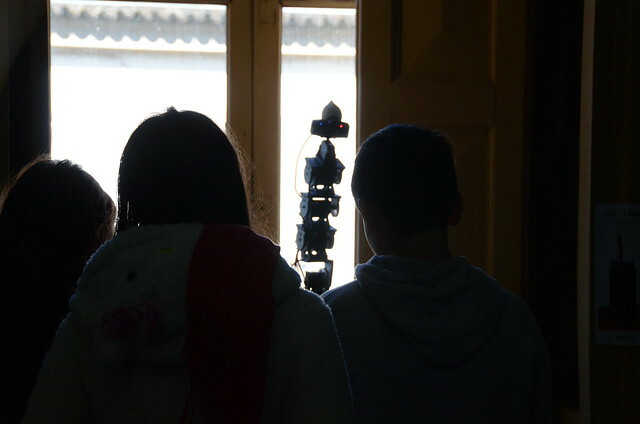 They embraced our robots, one could see how curious and happy they were! Student of a special-needs class controlling the Explorer bot. What a great experience! We will definitely continue our research on human-robot interaction paradigms in order to deliver better user experiences! Thank you Casa do Conhecimento for this awesome opportunity! We hope to see you soon! The following fotos speak for themselves! Showing the electronics side of an Auduino. Sapobot proved once again to be a robotic star! Kids just loved it!! Kids wondering if this is art or not?! What do you think? Magabot following the green color, during the visit of the special-needs students class. Visit of the Mayor António Vilela. ICU is a tireless robot, always seeking to interact and play!! Please take a visit to the flickr set of photos here.